The 2018 charity auction season was RECORD BREAKING! If your event is not achieving your financial goals, it's NOT the economy. It's advance planning and your professional personnel. Funding Pleas continue to generate additional revenue and the "right" Live auction items are selling at premium levels. Of course this doesn't happen magically, which is why its important for you and your committee to use my services in advance. Its all included in my base fee and my years of experience and hundreds of past events have taught me the who, what, why, where and how which will insure your success. With this Economy, Galas Over the Last 5 Years Continue to Impress! My auction committees for the last decade have been raising $3 to $5 Million per year. Saturday, February 10, 2018, The Villages Regional Hospital Foundation, Lady Lake, Florida - 500 +/- guests, $1 Million, 1st Time event for me. Their first event to Top $1 Million and a 20% increase over previous year. 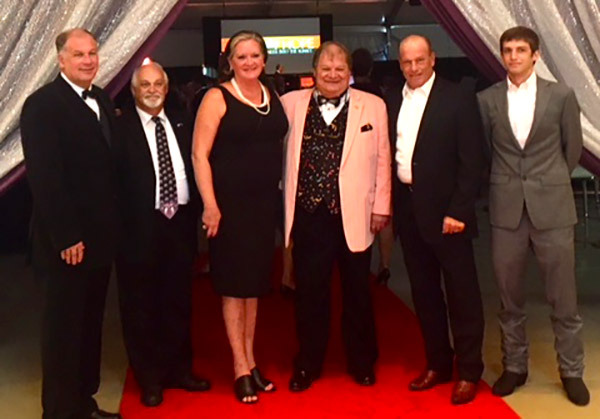 Saturday, July 21, 2018 The Gala of Hope, Beavercreek, Ohio - 600 guests, $1.5+ Million to “send cancer into the sunset”. All time #1 Fund Raising event of any kind in the history of Dayton and the Miami Valley area. 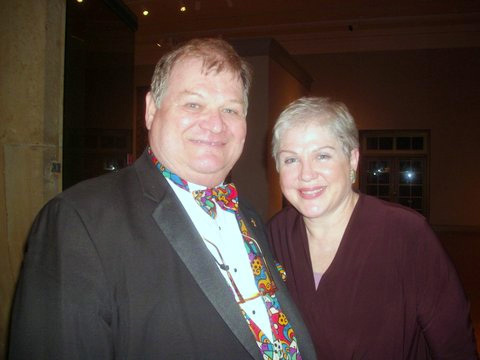 Bob and Barbara Mills at their Fox Hill estate have now coordinated the Top 5 Fund Raising events of All Time in the Dayton and Miami Valley area having raised $1.5 Million, $1.3 Million, $1.1 Million, $700,000 and $540,000.00 for various cancer related organizations. 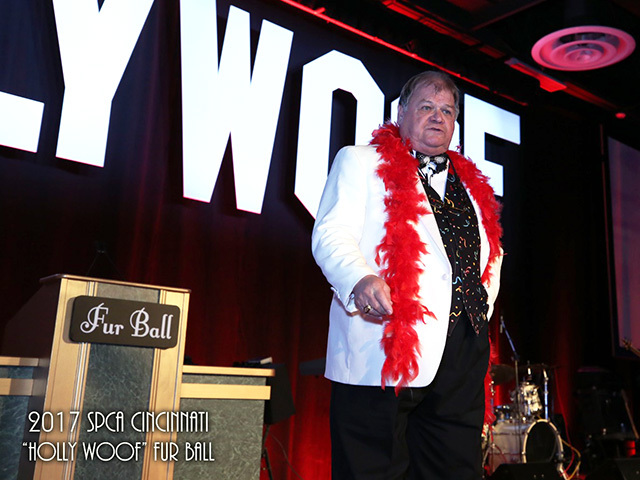 Saturday, April 29, 2017, 2017 SPCA "Hollywoof" Fur Ball, Sharonville Convention Center, Ohio - Doug Sharing the stage with Harold Dates, CEO of SPCA, Bob Herzog, WKRC News personality, Cincinnati Reds announcer Thom Brennaman and son in front of 850 guests. Saturday, March 14, 2015, The New School Montessori, Music Hall, Cincinnati, Ohio - Total gross income of $111,100 with a funding plea moving from $12,000 last year to over $35,000 this year. 2015, various locations in Dayton and Cincinnati area - The first few months of 2015 have been very successful for my auction committees. A total of over $750,000 was raised in the first 7 auctions through March 7th. Three of these were first time events with me. 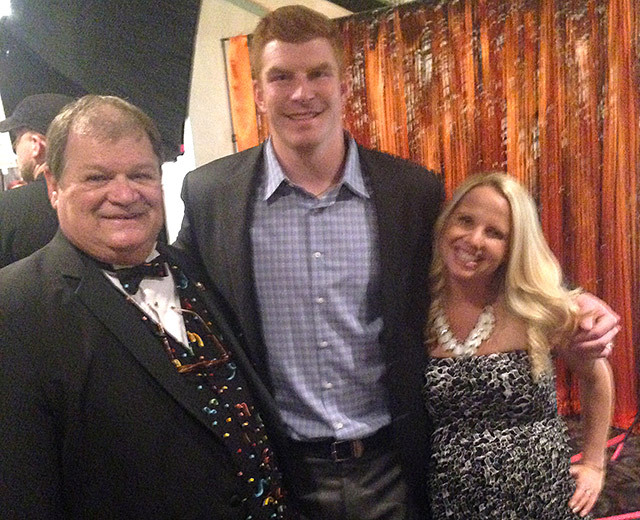 Monday, June 2, 2014 Andy and Jordan Dalton Foundation (Cincinnati Bengals Quarterback) Netherlands Hilton, Cincinnati - 1st time event for me... under 225 attendees, 8 items, pre sale estimate $19,800 which included reserve on one travel package. I doubled 4 of the 8 items. Sold the reserve travel package for $11,000, then pulled the no bids travel package from the silent and sold it to my other bidder for $11,000. Live auction total was $47,400 on adjusted estimate, including doubles, of $28,800 - 165% of estimates! Event was done by 9pm. Silent raised $15.000. May 9, 2014, LLS Finale, Dayton, Ohio. 650 guests, 11 candidates, $560K. 3rd largest gala ever for Dayton area. Biggest crowd ever in Ponitz Great Hall at Sinclair College. Really good year. Bodes well for southwest Ohio economy. In February 2014, I had $200K event, in March $230K event. In April 2014, I had 4 really good events. DVAC topped $100K for first time ever. Another private school event topped $500K. 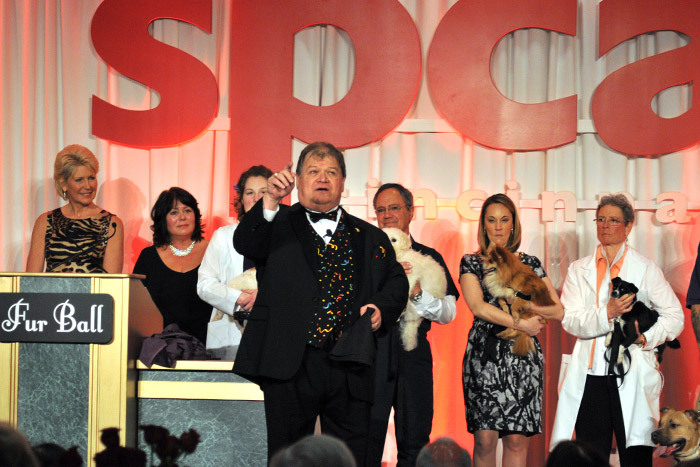 SPCA drew 800 guests. Successfully planned events are doing very well. Sunday, March 9, 2014 Spring Valley Academy, Mandalay Banquet Ctr, Moraine, Ohio 3rd year of event. 1st year they did $98K with 175 guests. Year 2 they increased monies, raised to $183K with 225 guests. Their goal this year was $225K. At this point the funds have exceeded $230K. I have advised group since inception. This banquet facility was transformed into the Emerald City complete with Characters from Oz movie, carriage with "food colored" horse of different color in parking lot for guests. Dorothy, Scarecrow, Tin Man and Lion all sang on Yellow Brick Road as did Lollypop Munchkins. Dorothy finished performance with Over the Rainbow to standing ovation. Saturday, March 1, 2014, The Antioch School, Yellow Springs, Ohio - Held at the Dayton Art Institute. 200+ guests gathered to raise funds for this small private school that dates to 1922. Following the auction Julia Sweeney and Jill Sobule entertained the attendees with stories and song. Saturday, November 9, 2013 Pet Afflaire for the Humane Society of Greater Dayton, Presidential Banquet Center, Kettering, Ohio - Founded in 1902, this venerable organization is the Dayton area's largest "no kill facility". This year 275 guests, 150 dogs and "THAT ONE CAT" came out for an evening of fellowship, food and fabulous items. At evenings end, no less than 6 couples were planning an African Photo Safari. The Funding Plea added another $18,000+ for the animal rescue fund. Saturday, October 26, 2013, Mars Hill Academy, Manor House, Mason, Ohio - This 2nd annual event saw their guests total climb to nearly 400. For second week in a row, I had a "newer" event raise $125,000. In this case 15 Live items sold for $24,350. The Funding Plea raised $50,400 from the guests attending matched by anonymous "angel donors" gifting another $50,000 earmarked for a proposed school gymnasium. 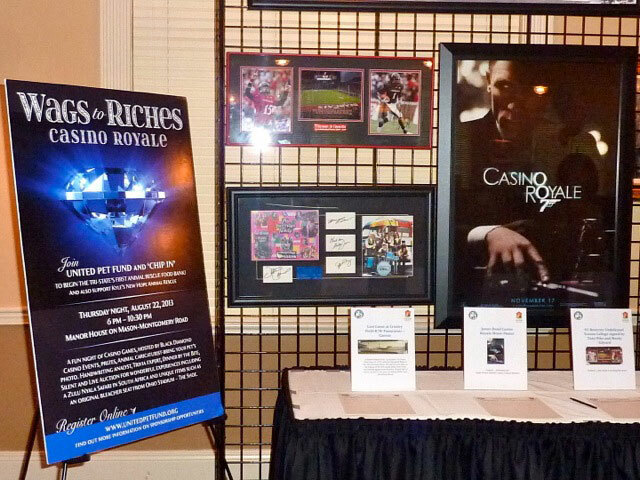 Sunday, October 20, 2013, Incarnation School, NCR Country Club - This National Blue Ribbon winning pre-K thru 8 school held their first ever Charity auction gala attracting 175 guests. 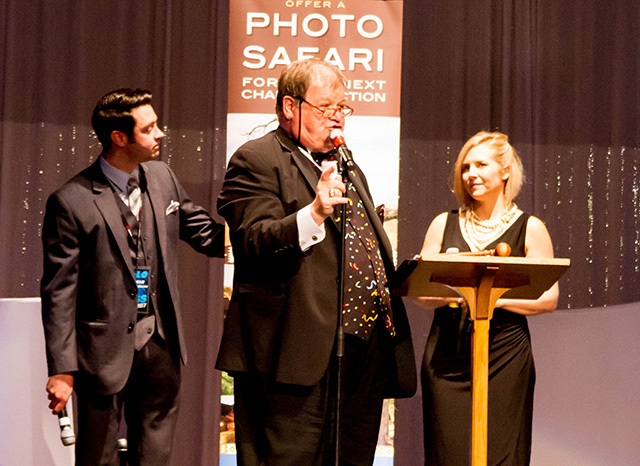 No silent auction, modest Live auction of 6 exciting trips and experiences sold for $23,350. We closed the evening with a challenge Funding Plea for a proposed STEAM lab that garnered $46,650 from the guests. A STEM lab with and Arts component is a Steam lab. Final figures reflect an evening of fund raising in the neighborhood of $125,000 on a pre event goal of far less. October 1 thru October 5, Lexington Selected Yearling Sale, Fasig-Tipton, Lexington, Kentucky and October 10-11, Indiana Premier Sale, Champions Pavilion, Indianapolis, Indiana - My auction "roots" are in the horse auction industry. As a child my father took my brothers and I to many horse auctions in Troy, Ohio, Rushville, Indiana and elsewhere. For 25 years I was the auctioneer for the POA International Sale in Iowa, Oklahoma and Indiana. This is my annual opportunity to return to that venue. This year over 1000 head of Standardbred yearlings went across the ring and under the gavel for a total of over $30 Million. High seller was $475,000 followed closely by another at $450,000. Two yearling were sold to European buyers for $260,000 each. Saturday, August 24, 2013 7th Annual TRI Friendraiser, Fine Line Stables, Springboro, Ohio - A record crowd gathered to celebrate 40 years of existence for the Therapeutic Riding Institute in their new facility. One of the 10 oldest programs of its kind in America, founding member Betty Lou Townley, "New" Exec Director, Development Associate and Board of Directors welcomed guests to an evening of music, food, student demonstrations, Silent and Live auction bidding, a spirited Heads N Tails contest, and 50/50 raffle; concluding with a very successful "Feed the Steed" Funding Plea. Thursday, August 22, 2013, 1st Annual United Pet Fund and Kyle's New Hope Animal Rescue "Wags to Riches" Gala, Manor House, Mason, Ohio - A fabulous array of silent and Live auction items were up for grabs and bids at this Monte Carlo event. Black Diamond Casion Evets handled the gaming activities, trivia experts challenged the guests, animal caricaturists turned photos into artwork, and handwriting experts analyzed us while we ate dinner by the bite. An African Photo Safari Adventure to the 500,000 acre Zulu Nyala Game Lodge sold a record 10x, sending 20 guests on a once in a lifetime experience. Monday, August 19, 2013, 25th Annual Eagle Seekers Golf Tournament to benefit the Women's Center at Southview Hospital, Dayton Country Club - It was a perfect day weather-wise for golfing. The Tex Mex buffet added to the Fiesta theme, and the guests opened their wallets when the Live Auction commenced. A modest Live Auction of 7 items with a pre-sale estimate of $20,300 sold for $28,250 (139%). These results can only be attained with the use of a trained professional auctioneer, schooled in the art of charity events. The Grandview Foundation staff realizes this and the result was a very successful event. Thursday, July 18, 2013 Dayton Area Board of Realtors, RPAC event, Benhams Grove, Centerville, Ohio Fun annual event saw few hundred area Realtors gather to enjoy each other, swap "tall tales" and raise money for real estate related causes. National Association of Realtors President-Elect Steve Brown, owner Irongate Realtors attended... as did three former Ohio Presidents. The 2013 Ohio President from Toledo also attended. With so many important realtors in attendance it is no wonder this event was so successful. Assisting me with the auction duties was my former auction school student Karen Huelsman as well as her daughter, a newly licensed auctioneer. The three of us had a wonderful time handling the auction duties. Monday, June 24, 2013, Dayton Golf Classic, Moraine Country Club This 3rd annual event to benefit ACS drew a full contingent of golfers to fabled Moraine Country Club. Following a glorious afternoon of golf, everyone settled in for a modest Live auction and Funding Plea that added $40,000 to the final total of over $150,000. Co-Chaired this year by the Cronin family, owners of Dayton Freight. Friday, June 14, 2013 Leukemia and Lymphoma Society Man and Woman of the Year Finale, Schuster Center, Dayton,Ohio 10th Anniversary event for Dayton saw 8 candidates vying for Top Honors in Miami Valley. 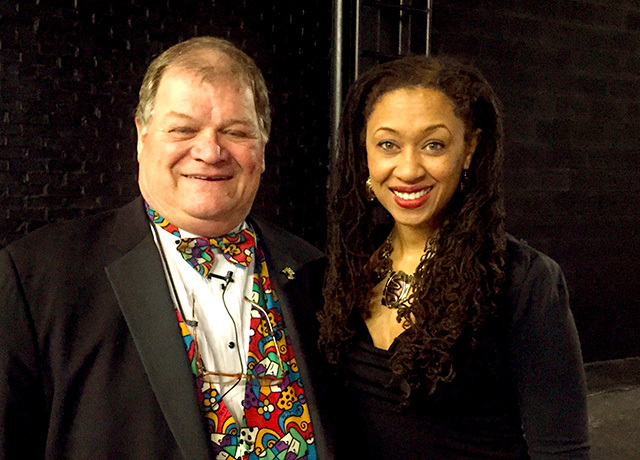 I was joined by local celebrity and cancer survivor Michelle Kingsfield who emceed our event. Final grand total exceeded $250,000. Live items included private yacht adventure on Lake Erie, getaways to Florida and Canada, VIP package to 2013 Presidents Cup at Muirfield and a 2nd Christmas family vacation to sunny Florida. Saturday, May 18, 2013 White Out Cancer to benefit ACS, Commander Aero Hangar, South Dayton Airport, Austin Landing Over 400 guests enjoyed a lavishly transformed hangar themed as a tribute to "Bond, James Bond". Everyone dresses in All White in honor event event founders Dr. Sonu and Dr. Trusha Aggarwal.This event has raised over $500,000 in last decade to fund cancer research. Items this year included Acoustic guitar signed by 15 Legends of Country Music, electric guitar signed by entire Rolling Stones band, Exotic Super Car racing experience in the Red Rock Canyons north of Las Vegas, Sonoma Wine experience for two with airfare and stay at Fairmount Mission Spa and Resort, Cancun Getaway for two and signed Michael Jackson Thriller album. Highlight of evening was James Bond Movie Poster montage signed by all six actors who have portrayed the legendary British secret agent. Next event for this committee is 3rd Saturday of May, 2015. Please join me. Saturday, April 27, 2013 St. Ursula Villa, Cincinnati, Ohio The gym was magically transformed for this annual sold out event. The Live auction featured two trips to NYC, Costa Rica, a puppy, private tailgate bash with Bengals Head Coach Marvin Lewis, a Reds VIP suite, and a Murder Mystery evening in a grand restored mansion. Frenzied bidding raised 132% of pre-sale estimates on this portion of the evening bringing in over $66,000! Friday, April 26, 2013 Dayton Visual Arts Auction, Great Hall at Sinclair College, Dayton, Ohio 650 enthusiastic patrons turned out for this 19th annual event which is the single largest fund raiser for this iconic institution. Over 120 Miami Valley area artists donated an item to be sold during the evening. In the Live Auction we featured a dozen works that sold for a record average of $1,000 each. Saturday, April 20, 2013, Moeller High School Main Event, Savannah Center, Cincinnati, Ohio 400+ guests came out to support the "Men of Moeller" ...the Live auction realized 106% of pre sale estimates on 25 items that sold for $43,100. The silent auction featured 226 items that sold for another $43,000. The BIG EVENT of the evening was the Challenge Funding Plea. An anonymous angel donor offered to match this portion of the evening if it reached $165,000. The guests in attendance pledged $193,800! When all the monies are tallied, this evening will exceed $500,000 once again. Saturday, April 13, 2013, Eagle Wings Therapeutic Riding, Piqua Country Club, Piqua, Ohio. An enthusiastic crowd turned out once again for this annual event with my brother Steve Sorrell handling the auction duties ably assisted by Dayton Radio Hall of Fame K99 morning host Nancy Wilson. Sorrell Solutions has 7 well qualified, experienced auctioneers in addition to Doug capable of handling any size event. Call us: 937-673-2440. Saturday, April 13, 2013, Cincinnati SPCA Fur Ball, Sharonville Convention Center 800 guests pledged over $78,000 in Funding Plea for 35 new " Critical Care Units" followed by Live auction that included trips to NYC, Hilton Head, Pinehurst and Orlando. Renown wildlife artist John Ruthven was honoree. Local Acme Comedy Company closed the evening with impromptu set for remaining guests. Saturday, March 23, 2013, Antioch School, Yellow Springs, Ohio. Committee goal for entire event was $30,000. My portion of the festivities alone surpassed this figure. Pre-sale estimates on 8 Live items was $11,000. Under 200 guests bid $18,100 (165%) to buy them and a Funding Plea and Final Ticket raffle sale added an additional $12,100 bringing that total of the evening to $30,200. Silent auction with Buy it Now options, raffle ticket sales, guests tickets and program advertising will push their total much higher. 2nd year event using my services. Sunday, March 10, 2013 Spring Valley Academy, Centerville, Ohio at Moraine Country Club Themed "The Greatest Auction on Earth", guests at this years gala were treated to clowns, acrobats, jugglers, a Ringmaster, circus band, custom cookie carousel horses at every table, and bags of popcorn as snacks. 207 guests were bombarded by the delightful atmosphere. They responded. The inaugural 2012 event netted $98,000 from all sources. This year the dozen Live auction items sold for $46,450 and a $20,000 Challenge Funding Plea was doubled with $40,000 donated by the guests, bringing this Worthy Student Fund project $60,000 of new funds. Just my portion of the evening raised in excess of $106,000 in 70 minutes. Total event gross exceeded $180,000 earmarked to replace computers, upgrade software and support the Worthy Student Fund with tuition assistance. "Dear Doug, THANK YOU so much for your guidance and wisdom in planning our event, and also the fabulous performance the evening of. You are an amazing auctioneer." Heidi Shull, President, SVA Home and School Assoc. 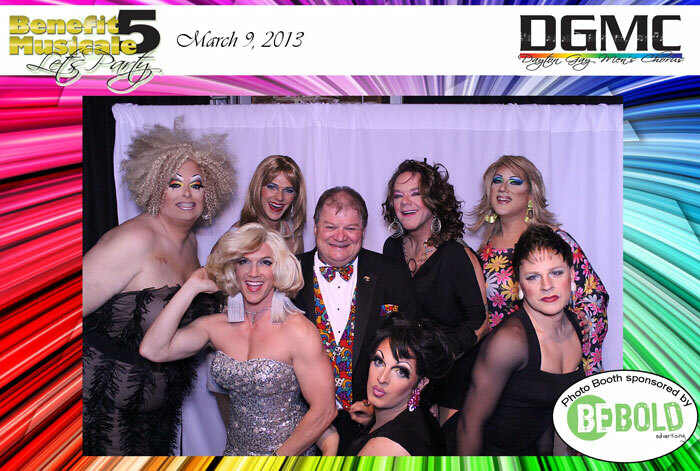 Saturday, March 9, 2013, DGMC, Top of the Market, Dayton, Ohio This was a wild event, highlighted by a performance of Dayton's famous Rubi Girls and event host Dayton Gay Men's Chorus. 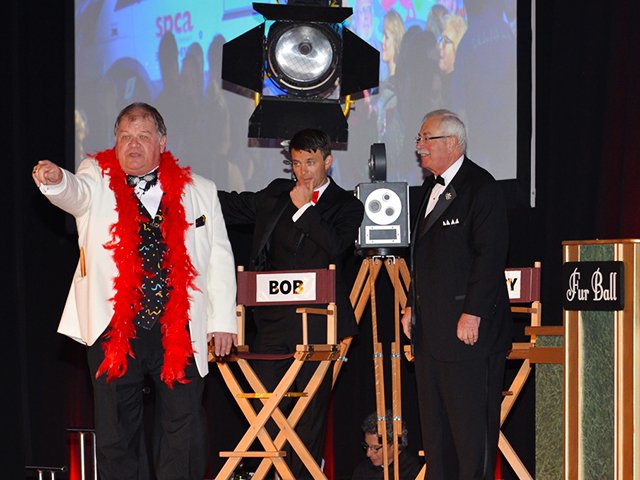 Alaska cruises with Celebrity lines, Lake Louis, Alberta, Canada Ski trips and Bloomingdale's Shopping extravaganza were among the Live auction pkgs successfully sold. Click photo to enlarge. Saturday, March 2, 2013, The New School Montessori, Longworth Hall, Cincinnati, Ohio "Doug, here is a big THANK YOU for making this auction a rousing success". Jan Goings, Director of Advancement. Pre-sale estimates of value was $14,925 on 18 Live auction items that I sold for $33,450. 224% of estimates! That's HUGE! We opened with Heads N Tails and closed with a first time Funding Plea that raised $19,800. 3rd year for me with this committee that is now approaching a $100,000 evening. Friday, March 1, 2013, Miamisburg Merchants Monte Carlo and Auction, Baum Opera House, Miamisburg, Ohio. "Thank you sooooooo much for auctioneering last night. It was our best crowd ever at the Monte Carlo." Bonnie Nolan, President, MMA. I think this nearly decade old event had its best money result. It's fun to help your Hometown Business Association raise funds to support local activities. Saturday, February 9, 2013 Cincinnati Hills Christian Academy, Manor House, Mason, Ohio Over 500 guests raised a record $165,000 in the first time this event was held on consecutive years. You simply needed to be there! Heads N Tails, raffle to Paris, France with a "new" twist, fantasy private tour of Yankee Stadium. Booked for return in 2014. Saturday, February 2, 2013 St. Mary School, Columbus, Ohio The largest guest size in the 8 years of this event raised a record $35,000 for the oldest Catholic school in Central Ohio. My first time to work with this group. I am being brought back for 2014. Naming Rights for their Gym in 2013-2014 school year sold for $3,600. A Wrigley Field experience sold twice. Saturday, November 10, 2012, Mars Hill Academy Fall Fundraiser, the Manor House, Mason, Ohio 300 guests visited, dined and witnessed their 1st auction utilizing a professional auctioneer. 20 Live auction items sold for over 95% of pre-sale estimates and a 1st time Funding Plea with a goal of $15,000 realized $16,500 for creation of a school playground! 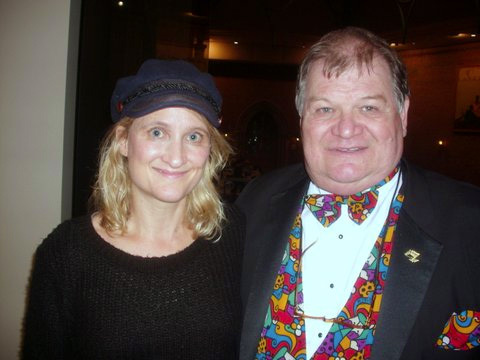 Thursday, November 8,2012, 22nd annual Pet Afflaire for the Greater Dayton Humane Association, Presidential Banquet Center, Kettering, OH 277 guests, 150+ dogs and 1 cat attended this year and were Wowed by the exhibition of Performance Speed Artist Tim Decker. His 3 pieces of art "created to music in moments" garnered $6,000 followed by the auction of trips, unique items and a $16,000 Funding Plea. New this year for this 110 year old organization was a version of Heads N Tails renamed Noses N Tails that added over $1,400! Friday, November 2, 2012, 5th Annual Miracles Happen Benefit for Advanced Breast Cancer Research, Shaker Heights Country Club, Cleveland, Ohio 3rd trip to Cleveland in 2012 found me with 300 guests working with University Hospitals on behalf of the Seidman Cancer Center. Miracle Fund Founder Ned Hyland has raised $2 Million in the last 4 years to establish the Diana Hyland Chair for Breast Cancer. This years guests bid 118% of pre-sale estimates on trips, art and electronics and the Funding Plea finale added an additional $27,750. Wonderful venue, great cause. Saturday, October 20, 2012 8th Annual All Saints Spectacular, Montgomery, Ohio This event is held in the school gymnasium with funds donated by the late Marge Schott, former owner of the Cincinntai Reds. This was my first auction for the committee. 260 guests bid on and bought 35 Live items for 122% of pre-sale estimates and matched a $20K "challenge" Funding Plea for tuition assistance resulting in over $40K to support families in need of help. Tuesday, October 2 Thru Saturday Oct 6th, Fasig-Tipton Sale Pavilion, Lexington, Kentucky This legendary Namebrand held their 1st horse auction at Madison Square Gardens in the late 1890's. I have had the honor of working equine auctions at this venue for many years. This year on the first 522 head of Standardbred Yearlings we had an average of over $40,800. Total this year was over 700 head. My committees continue to achieve success. I am a free phone call or email away.